Posted on April 18, 2017 at 7:01 pm. You’ve just left your nine-to-five. Before heading home for the day, you decide to hit up your favorite watering hole. As you peruse the menu during happy hour, you notice the classification under your preferred brew reads, “Wheat Beer,” but what exactly does that label mean? Wheat beer, otherwise known as a weizenbier, is a brew that’s derived of at least 50% malted wheat. From American pale wheat to Hefeweizen to Berliner Weisse, wheat beer is highly effervescent with a light, refreshing flavor that’s perfect for spring get-togethers and summer barbecues. Many wheat beers also feature fruity notes, such as vanilla, clove and classic banana flavors. Because of the traditional yeast strains, this type of beer retains a remarkable head, creating an enjoyable, distinctive drinking experience. Lambic – The beer born wild. Top-fermented by multiple wild yeast strains in a process known as spontaneous fermentation, Lambic features unusual, unique flavors and is often brewed with fruits, such as raspberries, apricots and grapes, toning down the tartness. Berliner Weisse – The refreshingly tart beer. With a sour, acidic taste and almost no hop bitterness, Berliner Weisse is pale in color and low in alcohol content, making for a smooth, light drinking experience. 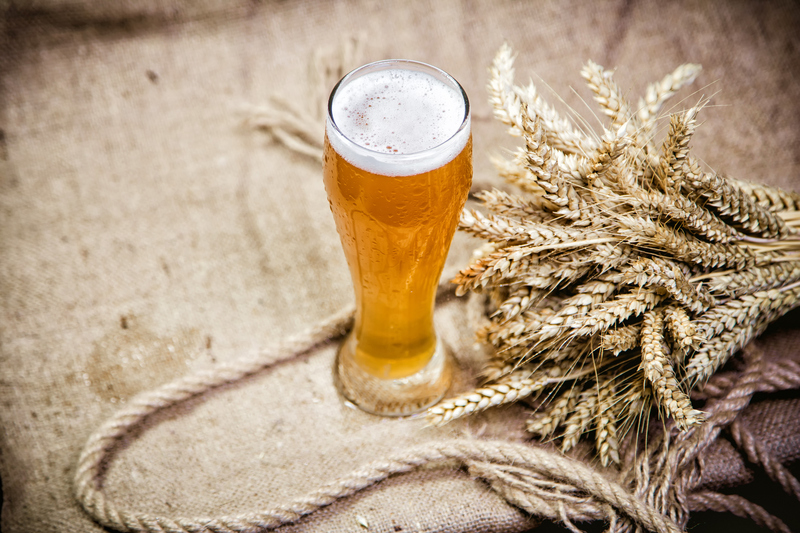 Hefeweizen – The original wheat beer. Hefeweizen is unfiltered and contains a small amount of hops, high carbonation and a signature banana flavor. Dunkelweizen – The darker version of Hefeweizen. Delectably creamy with notes of vanilla, banana, clove, bubblegum and/or nutmeg, Dunkelweizen is brewed with caramelized or roasted malts, contributing to its dark, sometimes chocolaty nature. Bockbier – The beer made for sipping. Because of its high alcohol content of 6% or more, Bockbier has a distinct, rich malt flavor that balances sweetness with nut-like notes. Weizenbock – The middle ground between Bockbier and Hefeweizen. Generally made with bold fruit and complex malt flavors, Weizenbock tends to taste spicy due to its high ABV. It’s creamy and refreshing – but comes with a kick. Thirsting for more? Contact Columbia Distributing to learn more about the domestic and imported beers, craft beers and other alcoholic beverages we distribute.